Darick Mead didn't want to propose to his girlfriend of a year and a half while she was pregnant with their first child. "I didn't want to do it just because of my son. I wanted to do it because it felt good in my heart," he told ABC News. Still, the proud father couldn't wait to pop the question to Susan Medina, and in fact, did so in the hospital with the help of his newborn son, Ryder. Mead, 26, and Medina, 20, met on the social network MeetMe.com. They later connected on Facebook and after one date, "we've been inseparable," Mead said. 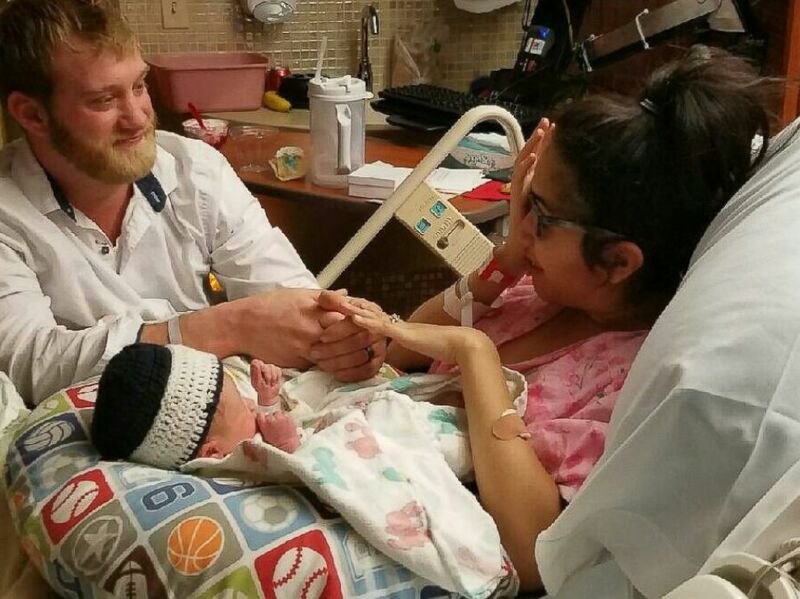 Darick Mead tapped his newborn son, Ryder, to help propose to his girlfriend of more than a year, Susan Medina. The Hastings, Nebraska, father said he didn't tell anyone -- including his family -- about his proposal, which he planned to do on the same day as his son's birth. 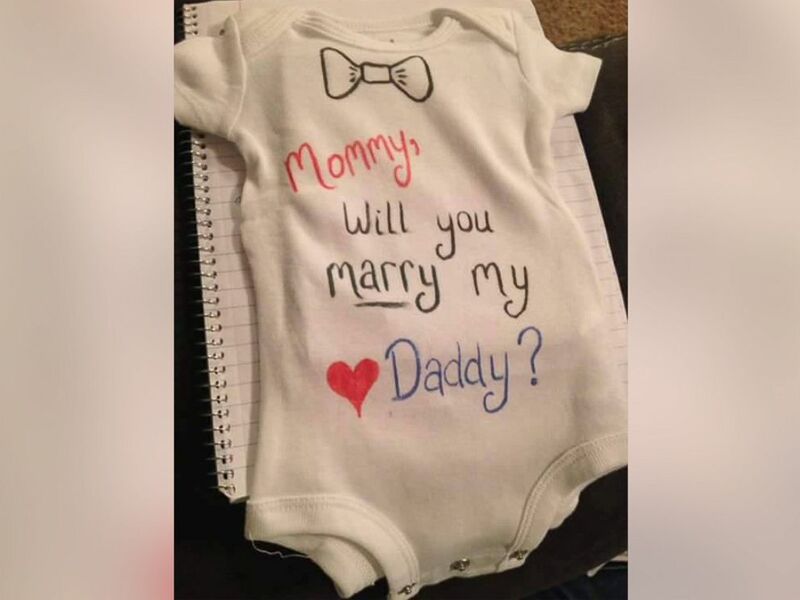 But he did commission the couple's friend, Katie, to help with the planning, including securing a onesie that she decorated with the words, "Mommy, will you marry my daddy?" The day didn't quite go as planned, however. 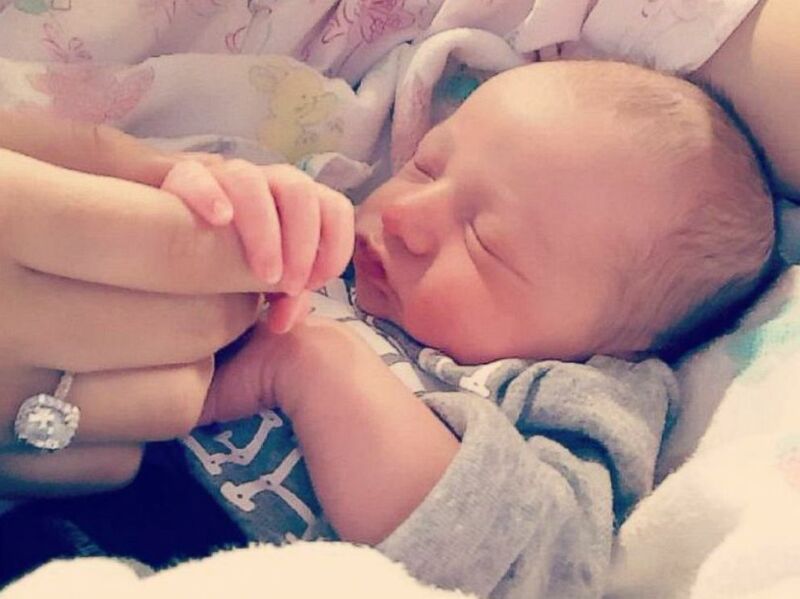 "She was in labor for over 17 hours and she pushed for two-and-a-half hours," Mead said. "Three epidurals later and ... Ryder was born via emergency C-section." It had been a trying day for the couple, so Mead decided to delay his plan by one day to "give her a break." For the big moment, Mead had to convince his bride-to-be that the nurses wanted to check on their son outside of their hospital room. That's when he placed the miniature onesie on Ryder and carried him back into the room under the ruse that the nurses wanted Medina to practice changing Ryder's diaper. Friends and family pulled out their cell phones to "capture the baby's first diaper change," and that's when Medina unwrapped Ryder, dressed in the proposal onesie, and Mead dropped down to one knee. "I was even waiting for him to say, 'Oh just kidding,'" she added. "I’m pretty sure I asked him, 'Are you sure?'" Mead was very sure, and now he says he's looking forward to beginning their new life together as a family. The two haven't begun wedding planning just yet, they say. For now, they're enjoying all of their milestones. "I've got everything that I could ever ask for right now," the future groom said.